DVDFab 14th anniversary celebration, save you up to $703.05! 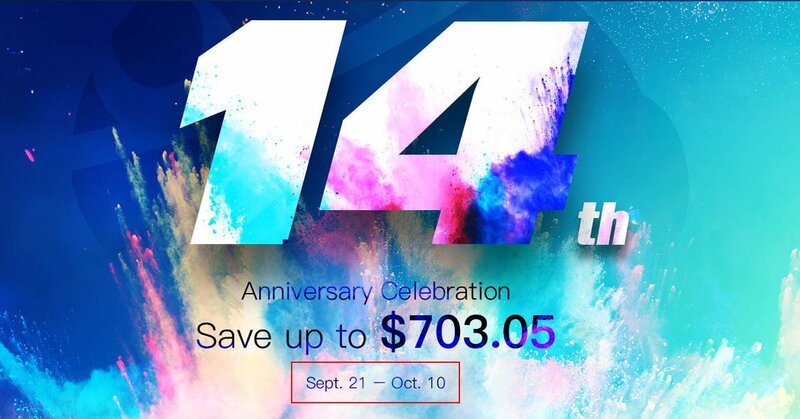 Topic: DVDFab 14th anniversary celebration, save you up to $703.05! We do not have a product like iPhone X released in our 14th anniversary, but we have anniversary special offers for you during Sept. 21 – Oct. 10. In the 14th anniversary celebration, Fengtao software provides $703.05 off on All-In-One Lifetime Gift, 20% off on its Movie Server, 30% off on some hot-selling bundles and 25% off on other products.